BALTIMORE — On the same day that a demented man with a shotgun blasted his way into the newsroom of the Annapolis Capital Gazette last week, they were inducting the newest freshman class into the nearby U.S. Naval Academy. The irony should be lost on no one. In four years, these young men and women will be defending America from foreign enemies. But the newspaper attack last week gives us more unwelcome evidence that we’ve got more to fear, on a day-to-day basis, from domestic terrorists than we do from foreigners. 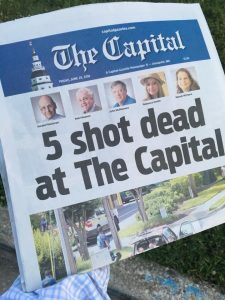 Five dead in an Annapolis newsroom, and we’re so accustomed to this kind of slaughter that we’ve run out of words to describe our grief. Five dead, and once again we go through such familiar gestures of despair that they’ve become American tribal rituals: mourners gathering at the site of the killing, candles being lighted, strangers holding hands and whispering prayers while television cameras lurk nearby. Here’s another familiar ritual: White House hypocrisy. “A violent attack on innocent journalists doing their job is an attack on every American,” declares presidential press secretary Sarah Huckabee Sanders. Has this woman not been paying attention to the poisonous words of her boss, the president of the United States? In the aftermath of Annapolis, Donald Trump extends his “thoughts and prayers” to the families of the victims. As ever, he wants to have it both ways. He wants to appear sensitive and caring, even though he’s the one unleashing the hounds on those who make their living in journalism. Don’t misunderstand me here: I’m not blaming Trump for last week’s murders. He’s got some esthetic distance on this one. The killings are the result of this crazed gunman with a history of misbehavior – directed at a terrified woman, directed at attorneys, directed at the newspaper where he opened fire. But it’s Trump who’s spent the last few years giving the whole country license to act out their anger, whether he’s talking tough at rallies, urging his followers to rough up random protesters – or routinely demonizing journalists because they dare to tell uncomfortable truths about him. 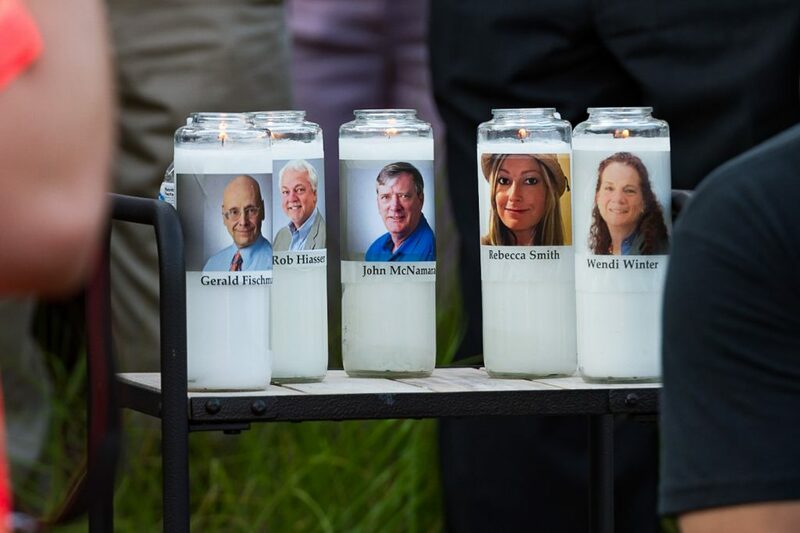 As the Capital Gazette editorialized Sunday, “We won’t forget the deaths threats from people we don’t know celebrating our loss. We won’t forget being called an enemy of the people. It wasn’t just coincidence that, in the same week as the Annapolis bloodbath, Trump spoke in South Carolina and some of his supporters were screaming obscenities at reporters covering the event. That kind of behavior has become expected – and it’s increasingly scary. Public ugliness has been legitimized. But, in the same week as this domestic terrorism in Annapolis, we had another reminder of our ongoing fear of foreign terrorism. The U.S. Supreme Court upheld the Trump administration’s efforts to ban travel here from seven majority-Muslim countries. This brought a pretty good response from Brett Stephens, the conservative New York Times columnist, who asked how a ban on these seven countries is supposed to protect Americans. Over the last 25 years, he pointed out, the 14 most significant terrorists attacks in America did not come from any of those seven countries. Not Sept. 11, 2001, or Oklahoma City, not the Boston Marathon or the Atlanta Olympics, not Fort Hood, Texas, or that bike path in New York City, nor any of the other big ones. Not one of those attacks would have been prevented by last week’s Supreme Court ruling. 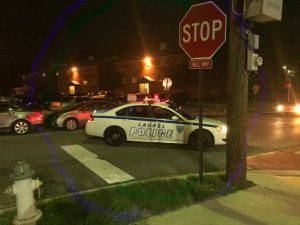 And so, at the start of a new week, or any week at all, we’re left just as vulnerable to foreign terrorists despite our Supreme Court’s gesture – and, as the shooting in Annapolis shows us, just as vulnerable to any home-grown terrorist, as well.